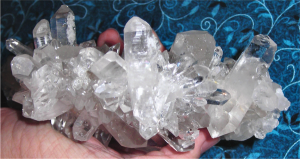 « QUESTIONS FOR THE CRYSTAL PEOPLE: Can crystals be used to guide others without their consent? I started picking up rocks with my Granny on our summer vacations to Crescent City, California. We would pick up the agate on the beach. Sometimes we would lay in the pebbles and sift through them, holding them up to the sunlight to see which were most translucent. The top layer, dried by the sun, (which beckoned us to sit and dig) was deceptive. The sea water would seep up from the under layer and soak our knees and elbows. 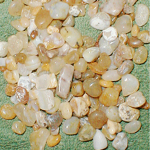 When the agates we found dried, we would lick them to rediscover the shine. Granny collected patches and buttons from her travels and sewed them on her favorite rock hounding jacket. She would giggle as she pointed out her favorite button (which I still have… somewhere). It says in bold print: “I’m an Agate Licker”… you can imagine the stares she used to get from wearing that one! They also dug antique bottles from old home sites. My grandpa used his metal detector to search the edges of the woods for the “scrap pile”, where the previously discarded bottles were to be found. Granny and I would pick up the rusted and bent square nails which were handcrafted so many years ago. What they were going to do with it all was beyond me. It didn’t matter. It was the thrill of the find. It was such an adventure to rumble down old wagon trails, slowly bouncing in and out and around ruts and potholes and rubbing so close to rain-moistened ferns and leaf-covered tree limbs on each side that we had to pull our arms back as they lashed at open windows. They also had claim to five gold-mining sites in the Trinity National Forest, on Mule Creek. 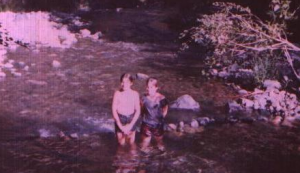 Summers were spent there in the cool-dark woods, knee-deep in the icy cold stream, playing in the summers’ heat and panning for gold. We would shake the dirt off the moss growing under the roots of trees on the creek bank that had been eroded away by high water the previous winter. Squatting in the rocks and pebbles at the waters edge, we would swirl the water over the dirt in our gold pans with the rhythmic swish swish swish, carefully washing away the brown dirt and debris, looking to reveal the black sand where the gold was typically found, and then hoping to find gold, heaviest of all, which would settle to the bottom. 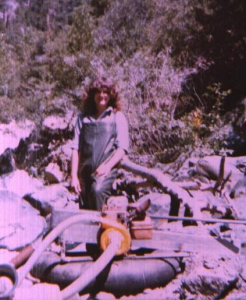 At the end of the day, we would marvel at the nuggets my Grandpappy would reveal from a long day of dredging from under bedrock in the deep creek holes and beds. This almost made the constant drone of the gas engine seem worth the intrusion into the peaceful green dogwood canopy surroundings. My sister and I would proudly show off our tiny glass jars filled with water and gold specks while we ate hot-dogs and marshmallows beside the campfire. On the most odd occasion, a black bear would surprise us by making his presence known. My sister and I, straining for a closer look, were quickly shushed into the travel trailer by Granny. At this sudden panic by our grandparents, realizing our peril, my sister and I stood, stock still, breathing shallowly, as if not to alert the bear to our presence, our mouths open and our eyes darting around, watching the bear and waiting for the all clear. 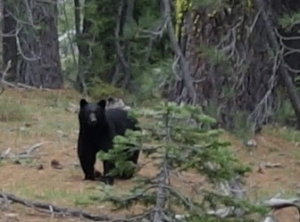 I Googled “California black bear Trinity National Forest” below is a picture that was closest to what we saw that day). Of course, the bear would amble off, as unaware of us as he was when he appeared from the dark woods. For days, the hiking restriction which was “within eyesight of the camp”, was strictly enforced and to be followed without exception. As kids do, we would slowly push our boundaries as far as we could, until we were pulled back by the reminder of the bears and other dangers lurking about. The feeling of fear easily faded and we would spend weeks hoping for another “sighting”. During all this time, the summers that were spent visiting my grandparents in Northern California, I lived on a farm in the Sacramento River Valley, about 2 & 1/2 hours North of Sacramento. In the early eighties, my grandparents partitioned off an acre in our field, where they built a house, so they could be closer to us. They continued their rock hounding, but since Grandpap was now retired from the Forest Service, they were able to travel, and expand their mineral lust beyond the Trinity National Forest to include the entire United States. They used to drive from California out to Arkansas and mine for crystal for weeks at a time. They had to ship it back by UPS because there was too much to carry back in their car. If I wasn’t before, now I was hooked for sure. The thrill of adventure and the anticipation of the unknown is still with me, urging me on every time I pick up a new stone. Even though it’s been well over 20 years since she made her transition back to Spirit, I will always maintain my connection with my grandmother through my closeness with Mother Earth. I hear her in the breeze when I walk along the beach. I feel her every time I bend over to pick up a stone. I see her every time I hold an agate up to the sun. Thanks for sharing my journey! Was there something special that “sparked” your journey into the mineral kingdom!? Share! Tagged crystals. Bookmark the permalink. Thats awesome, I’ve read many of your articles and came across this one – I grew up and spent 15 years in Crescent City, and a few years out in Trinity county as well. Crystal addition is a real thing! Thanks for your comment, Colin! I miss our summer trips to Crescent City and REALLY miss the clam chowder! Absolutely beautiful! 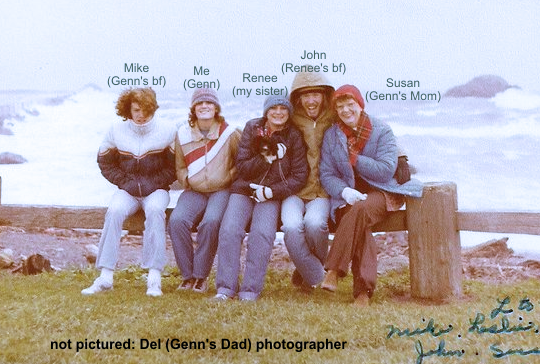 I’m glad to have found this in my Twitter feed this morning, Genn, I didn’t know this story about you yet :-). When I was a girl, my hippy parents kept all kinds of things. My mother always had the best collections, buttons from my great granny in mason jars; old bottles she had found full of shells, feathers, dried beetles, and of course, rocks. 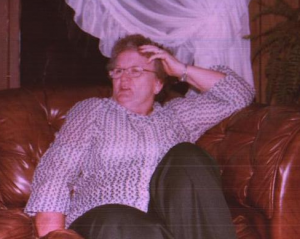 Whenever we would go for a drive or on vacation, whether it be to the creeks in the Ozark Mountains, or to the deserts of Texas, she would bring home a special rock. I got the bug early, and have always as far back as I can remember, had rock collections. 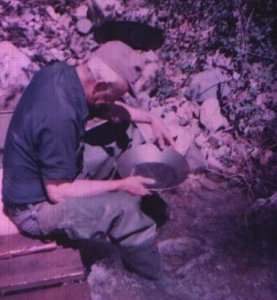 The rock shops were a favorite for my dad as well when I traveled with his side of the family. We would stop at little out of the way shops, marvel at the clusters and geodes, and always bring back something shiny to put on my treasure shelf. I remember being about 8 or 9, and going to Petit Jean for our yearly 4 day stay at Mather Lodge. In the gift shop there was a bear that I had wanted for the last 2 years. His head and legs were brass, but his body was a polished and cut Arkansas quartz the size of a golf ball. Every year I would look longingly at him, gently touch his shiny little ears, and hold him up to the light so he cast prisms around the room. That year I was surprised with him for my birthday. I loved that bear, carried him EVERYWHERE. My mother still has him, in a small shadow box full of treasures from my childhood. You, my dear friend, introduced me to crystal digging, and it has become one of my favorite get aways. Just sitting in that dirt, soaking up the sun and finding beautiful stones, I have never felt so connected to Spirit, to Mother Earth as I do there. 2) Do they get bored if you haven’t talked directly to them in a few days? Or they converse with each other…. Shari! BEAUTIFUL, PERFECT QUESTIONS!! I will make a blog post on this topic. Stay tuned! EXCELLENT! Thank you! !